Written By: John F. Walsh, M.S., Joyce Zborower, M.A. Narrated By: Joyce Zborower, M.A. 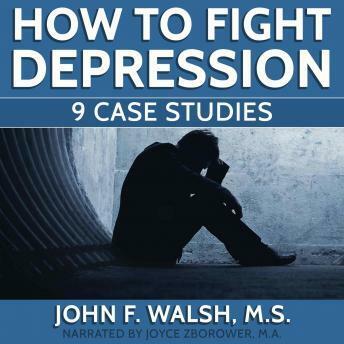 There are nine (9) psychological case studies of real people dealing with depression in this 37-page booklet. Each one shows how unique the consequences of this debilitating condition can be on one's life. The author of these studies, John F. Walsh, M.S. (1937 2012), spent the better part of his life 45 years working as a crisis intervention mental health professional within various mental health hospitals. Jack had a special knack for figuring out what was wrong and helping people deal with their circumstances. The final write-up in this collection of case studies lays out his ideas for how you can best help your friend or loved one. Don't get so wrapped up in their problems that you neglect taking care of yourself. by John F. Walsh, M.S., Joyce Zborower, M.A.